With a sleek, slim figure and a short, fine coat that comes in four colors (seal, chocolate, blue and lilac point), the Siamese is a very refined looking breed. 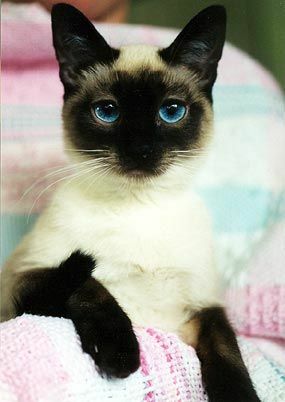 A born chatterbox, Siamese cats are outgoing, social and depend on human companionship. The breed can get very lonely when left alone often and does best when it can be with its people often. In general, smallness in cats is often caused by too much inbreeding, Gonano said, and CFA breeders tend to prefer to keep their breeds robust. If you’re unsure about the ideal size and weight for your potential cat, talk to a breeder or research the breed standard for your cat to ensure they’re being bred, fed and cared for properly before bringing one home. Learn more about the Siamese.